At 09:10 AM, the rupee was trading at 70.88 a dollar, down 41 paise from its Wednesday’s close of 70.47. The yields on the 10-year government bonds fell 0.58 percent to 7.40 percent after closing at 7.44 percent on Wednesday. 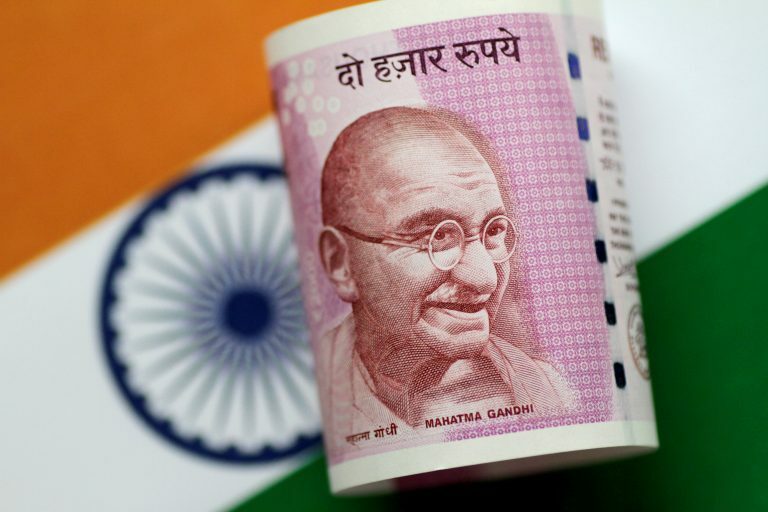 Indian rupee lost 32 paise against the greenback on Thursday as dollar edged higher on easing worries about a possible US recession. At 09:10 AM, the rupee was trading at 70.88 a dollar, down 41 paise from its Wednesday’s close of 70.47. The home currency opened at 70.79 and touched a high and a low of 70.79 and 70.89 a dollar, respectively. The rupee ticked higher by 3 paise to 70.46 against the US dollar Wednesday amid weakness in the greenback and easing crude oil prices. But the sentiment turned weak today as the greenback rose 0.35 percent against the Japanese yen. Meanwhile, the Reserve Bank of India Wednesday left the repo rate unchanged at 6.5 per cent while maintaining the stance of 'calibrated tightening' of policy. Oil prices dipped on Thursday in tepid trading ahead of a meeting by producer group OPEC that is expected to result in a supply cut aimed at draining a glut that has pulled down crude prices by 30 percent since October. International Brent crude oil futures were down 17 cents, or 0.3 percent, at $61.39 per barrel. India imports nearly 80 percent of its total oil needs and a rise in price would drive up the value of its imports. Falling crude oil prices have supported the rupee, until recently the worst-performing monetary unit in Asia. This month, the local unit has gained 2.79 percent against the dollar, making the rupee the third best performer after the Chilean peso and the Indonesian rupiah. In debt markets, the yields on the 10-year government bonds fell 0.58 percent to 7.40 percent after closing at 7.44 percent on Wednesday. Bond yields and prices move in opposite directions.